Matthew twenty four is one of the chapters in the Bible that describes what will be happening at the end time, which is when this age is about to come to an end. 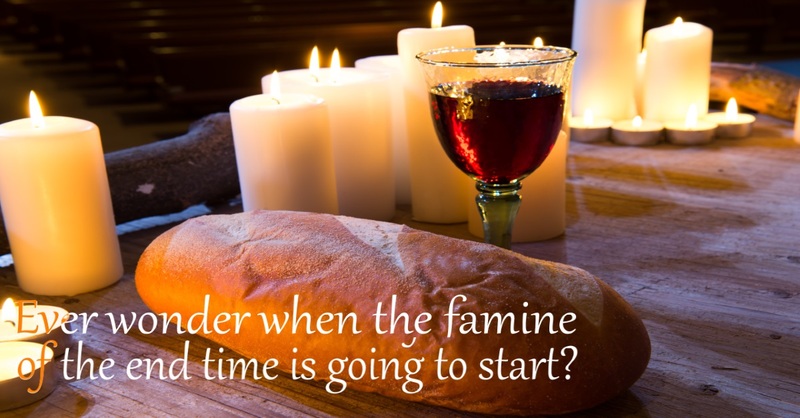 Ever wonder when the famine of the end time is going to start? This happened at the Crucifixion also, but when the Bible says “in that day” within a Bible prophecy it is speaking of The LORD’S Day, which can include the events leading up to that day. 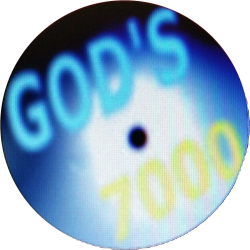 The LORD’S Day is known in modern times as the Millennium because it is the thousand year reign of CHRIST where HE rules the nations with a Rod of Iron. The reason it is called a “Day” is because one day with the LORD is as a thousand years to man. This is the end time, the hour of temptation. Everyone on earth will be worshiping satan except those that had their names written in the book of Life from the foundation of the world. Those that become part of the end time Temple finished by Zerubbabel come out of worshiping satan and repent before JESUS returns. They wash their robes in the Blood Of The LAMB. For those that fall away to satan and do not return unto the LORD, their cheer will be turned to sadness when they realize they have been worshiping satan when the LORD returns. Their songs will become funeral songs. They will be ashamed. They will be praying, but be mourning as of the mourning of an only son. They won’t have the TRUE SON. It will be a bitter end. Even though it will get worse, there is already a famine for the TRUTH of GOD’S WORD. Many churches teach false doctrines and traditions of men. Some churches are strictly for socializing. The church system is interested in funds, not saving souls. With their false doctrines, they prepare their members to be deceived by satan when he comes as antichrist. Many Bible translations have deceptions to hide the TRUTH and there are few teachers that are qualified to teach The WORD Of GOD. The first warning that JESUS gave in Matthew 24 was to take heed that no man deceive you, but so many people do not care enough to seek out the TRUTH and understand. This prophecy will be the result of their lack of a love for the TRUTH. Not likely, unless you have studied the WORD with understanding!